Pastor, Are You Reading the Bible for Yourself? By J. A. Medders. J. A. Medders is the lead pastor of Redeemer Church in Tomball, Texas, where he lives with his wife Natalie and their two kids. He is the author of Gospel Formed and blogs at jamedders.com. Sermons, small groups, lessons, counseling, discipleship meetings—pastors are constantly reaching for the Good Book as we go through the week. Our calendar often requires us to open the Bible to feed God’s sheep. And there’s a danger here. One of the scary truths of being a pastor is that you could neglect personal enjoyment and intake of God’s Word, and no one would notice. At least not for awhile. 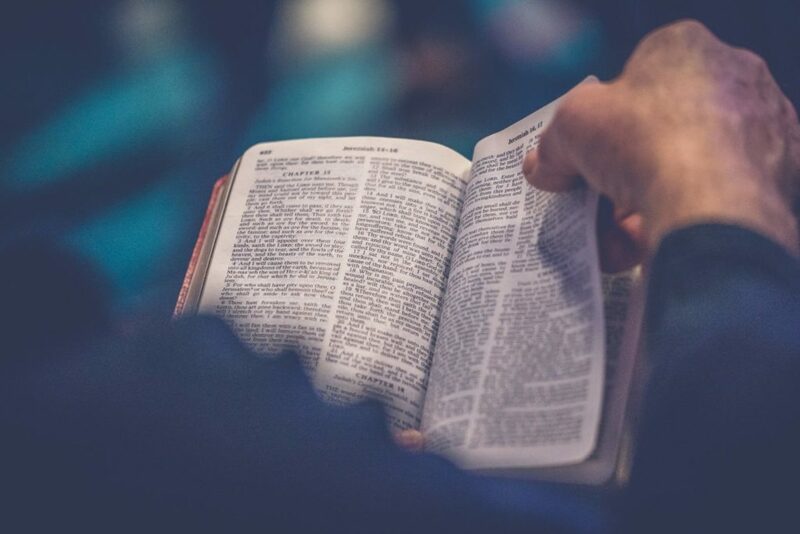 While you are busy prepping sermons, lessons, and meetings, and books are scattered across your desk, it looks like the pastor is enjoying the Bible. I hope you are enjoying God’s Word as we serve others, but are you reading the Bible for yourself and your walk with Jesus, too? Our lack of personal enjoyment from God’s Word often springs from an identity crisis. We are disciples of the risen Christ before we are pastors. And as disciples, Jesus tells us that we live on every word in the Bible (Matt. 4:4). We should long for the pure spiritual milk of the Word, for our own nourishment, not just to be a milkman for the body of Christ. Avoid the trap of always delivering the Word and not stopping to sip and savor yourself. Paul tells us to, “Be diligent to present yourself to God as one approved, a worker who doesn’t need to be ashamed, correctly teaching the word of truth” (2 Timothy 2:15). While we work hard to make sure we are correctly teaching God’s Word, we cannot forget the unparalleled sweetness we personally devour from God’s Word. King David reminds us in Psalm 19 how personally wonderful God’s Word is to God’s people, not just how useful it is for ministry and those we minister to. The Word of God renews us, making the heart swell with joy, and it’s sweeter than bottled honey. Is this how we view the Bible? The Scriptures aren’t just a sword and a toolbox for ministry—it’s a honeycomb for our delight. There are two ways pastors can recover the personal enjoyment of reading the Bible for yourself. Read God’s Word for no reason. Meaning, don’t read it for a ministry reason. Read the Bible apart from sermon prep too. It is hard, near impossible, to turn off the pastor-teacher mode when we open the Bible. Don’t read with tweets and blog posts in mind. Read with enjoying God in mind. Let the reason for this particular time of reading be to personally eat from the honeycomb and drink from the well. When’s the last time you sat and read the Bible without a rush to outline the passage, write a blog post, or even read quickly before the kids wake up? Find times of unhurried reading of God’s Word. If you want to sit and soak in one verse, do it. Maybe you want to read through Ephesians in one sitting, without a pencil or pen in your hand. Don’t sit at your desk like you are prepping a sermon. Lay on the couch. Put your feet up. Relax into God’s Word without the dings and notifications of your phone and the day beckoning to get back on your feet. Sit awhile. Be still and remember your God. The honeycomb is calling. The milk is ready. Flip open that leather cover, pop open that app, and taste and see—for yourself—that the Lord is good (Psalm 34:8).